Has this happened to you? Or have you given a thoughtless gift to someone because it’s the social norm to do so? Why do we feel obligated to give gifts that no one really wants just because it was on sale and it’s a holiday? This is the very reason I started this minimalist journey. I had received so many clothes and things over the years that seemed to just add to the clutter in my home. I went from having to wash 3 loads of laundry to 8, having to clean up 4 big boxes of toys instead of 2, and having to clean hundreds of dishes as opposed to one load. I had clothes that weren’t my style, but I wore them anyway because it was a gift. I had kitchen gadgets and dishes that I would never use that just sat on my counter top or in the drawer. And I had toys EVERYWHERE! Not only did it NOT add meaning to my life, it added STRESS. So What Gifts Do You Get for Moms that You Know She’ll Love? How do you know what to give a minimalist mom this Mother’s Day? Give meaningful gifts. Give gifts of experience. Ask her what she really wants. Otherwise, don’t be offended if your gift ends up on the resell page or is donated. Minimalism is about living with less. It means not being consumed by materialism. It means living each day with meaning and embracing the simplicity of life. Those are the gifts that a minimalist would want. A gift that simplifies their life so that they can spend more time with the ones that mean the most, their family. By the way, you don’t even have be a minimalist to want to live a simpler life. Most moms agree that this list has everything that they would want even though they are not a minimalist. I’ve surveyed over 200 moms who consider themselves minimalists to see what they really wanted. Here’s what they had to say. The number one thing that come up over and over again was a spa day. But don’t just give a voucher. Moms are so busy these days. They tend to put others before themselves so they may not even get to use it. Extra brownie points if you arrange a babysitter so that she can actually go. Most minimalists wanted nothing, but they said if they had to choose, a gift card would be great. It’s NOT tacky to give a minimalist this gift. Really. We love gift cards. Yes, yes, and yes please. Moms are under a lot of pressure these days. The SAHM is supposed to care for the children while keeping the house clean and tidy, there’s no time to deep clean. The working mom goes to work, then comes home to take care of the kids, and still has to balance keeping a clean house. A cleaning service would be a great gift for these moms. Did you know that Amazon offers these services? Ever heard of Blue Apron, Hello Fresh, or Sunbasket? All of these food meal delivery services package all the necessary ingredients that you’ll need to make the delicious meals. The portions are exact to eliminate waste. Who wouldn’t want to have dinner mostly prepared and delivered? All-in-one devices or gadgets are a must. If one can replace many and take up less space, less cleaning, then grab it! An instant pot can do a variety of things like cook rice, make yogurt, soups, and so much more. I received one for Christmas last year and let me tell you, it is an absolute must in your kitchen. Not only does it replace other kitchen appliances, it’s a HUGE time-saver! I can cook frozen chicken in just 20 minutes. No thawing involved. Groupon has many experience gifts to choose from. Perhaps a paint night out with the girls, or a hiking excursion, horse riding, or a show to a nearby theater? Moms love to take pictures of their babies. It seems we are capturing EVERY SINGLE MOMENT of our children’s lives. This DSLR camera makes it easy for mom to get her own professional pictures. Have someone come into the home to cook and elaborate meal for mom and her husband. How nice would it be to have a professional chef cook a meal right in front of you? No cooking, no cleaning = #winning. If you know a minimalist who is obsessed with schedules, routines and organization then a planner is perfect. Alternatively, if you know a minimalist who needs help with organization and planning, then perhaps offer to buy them a life planner. This planner even offers a budgeting insert package and customization. A Netflix subscription would be perfect for those who are interested but are hesitant to make the commitment. Give them a free month or two to try out as gift this year. The trend lately is to photograph every event, every milestone, and every second of our lives it seems. 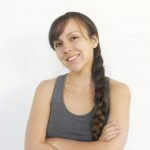 Offer a mini photo session with a professional photographer to capture moments in her life, or to take family photos that she has been putting off. Okay, seriously. Do I need to say more? Does your minimalist mom enjoy sports? Broadway shows? Concerts? Consider purchasing a ticket or two to an event. Tickets don’t have to be glamorous, it can be a small show in town or a local sporting event. What is she into? Cooking? Photography? Music? How about buying her a cooking class, photography class, or guitar lessons? Classes can add value as she expands her knowledge in something that she is passionate about. Consumables are something that can be eaten. Chocolates, cheese platters, or fruit baskets are among the most popular. Do you consider yourself a minimalist? What would you add, or takeaway? Comment with more suggestions below. This is awesome I have been struggling with ideas of what to get teachers for Christmas I am sure they do not want to see another coffee mug. Oh my gosh, lol. I wonder how many coffee mugs they get each year? Wow, I love these ideas! It’s always so awkward when you open a gift that you really don’t want or like! Haha! People are coming from the right place, but I would much rather have anything on this list! Especially #12! It is awkward. I do try to be grateful. I’m so with you on wine, girl. You can never go wrong with a bottle of wine. YES to all of these! I just got the instant pot and am ridiculously excited to use it. Also would like a spa day, gift cards, a maid service, and lots of wine for after I have this baby. That’s awesome, I’m glad you agree! Congratulations on the baby. When is baby due? Instant pot is EVERYWHERE YESSS! Yes it is and it’s a great invention. It replaces so many other kitchen gadgets AND cooks in less time. Who knew you could make perfect asparagus in 2 minutes? Photoshoot would be such a great idea apart from the netflix subscription I think for my mom. Indeed these are great gifts, even instant cooking pot will make her smile. Thanks girl! I believe I am partial to the Netflix as well. I just don’t watch much TV for it to be worth it. 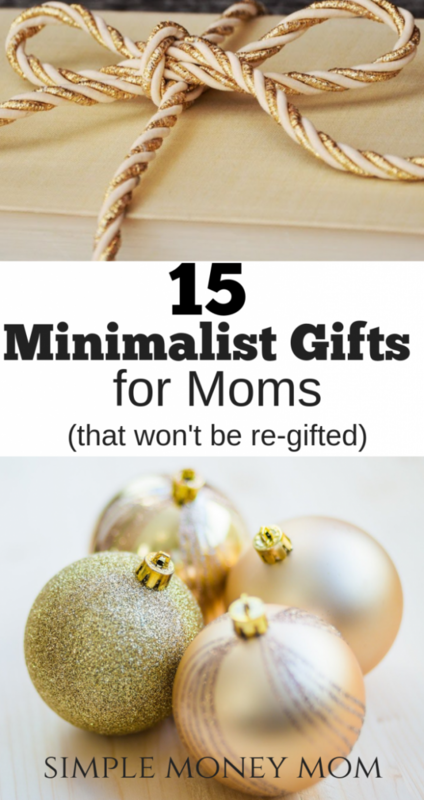 I completely love the variety of gifts that you provided for minimalistic moms. I’m not a mom and I would enjoy some for myself. I could definitely see myself getting the mothers around me these gifts. Thank you! These moms really knew what they wanted. But you are so right, you don’t have to be a mom or even a minimalist to appreciate gifts like these. I love these ideas! I’m so tired of all of the clutter and useless items around the house! Oh gosh girl me too! Cleaning and tidying has been SO much better since “editing and minimizing” the clutter. I have been trying to move in more of a minimalist direction. I would have to agree with all of these gift ideas! And who wouldn’t love going to the spa or having their house cleaned!?! Thank you! That’s great that you are moving in a more minimalist direction, and I love that it doesn’t have to be all or nothing. I like the idea of maid service ! We never have time to deep clean so it’s just a huge undertaking. It’d be nice to have that. Hi Jenn, thank you for stopping by! A maid service would be awesome. Cleaning is probably the least favorite thing to do as a mom. It’s crazy right? Now it’s even less. Hope you find something you like. These are all so great! I’m not sure I could pick just one favourite, so I’m going to say too …. House cleaner and meal service. 100% agree!! I would love to receive any gift on this list!! Thank you! They really are great gifts! I LOVE the wine and food ideas. I am hard to shop for myself and love these. If anyone got me a maid as a gift I would love them forever. I love this list! !